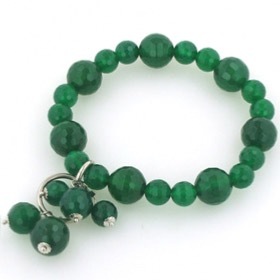 Green onyx, aventurine and prehenite bracelet. 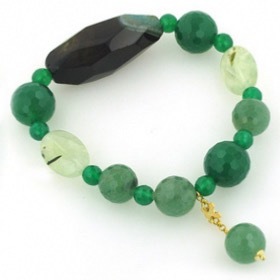 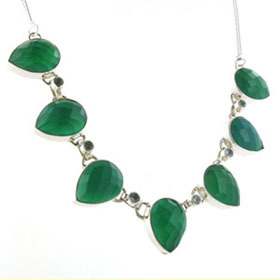 If you love greens, you'll love this gemstone bracelet. 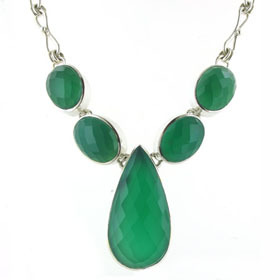 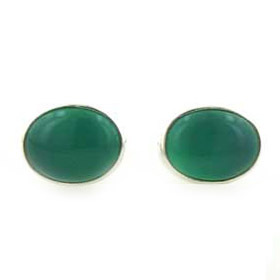 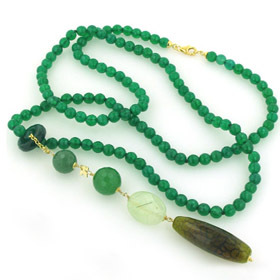 The strong greens of the aventurine and green agate contrast beautifully with the pastel green of the prehenite. 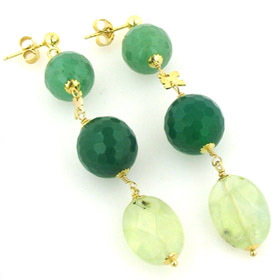 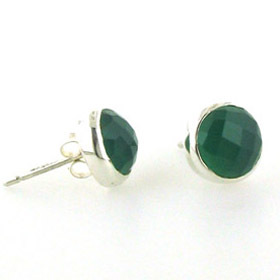 These semi-precious gemstones are chunky and faceted. 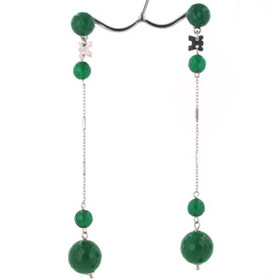 For ease of fit and wear, the bracelet is elasticated using strong jewellers elastic. 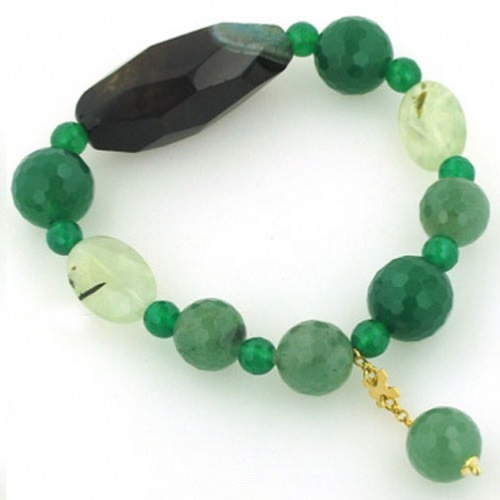 This gemstone bracelet is finished with gold plated sterling silver. 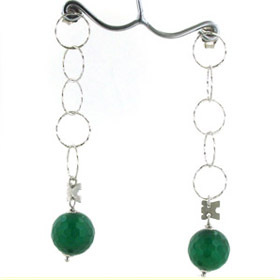 Team up with matching agate earrings and an agate necklace. 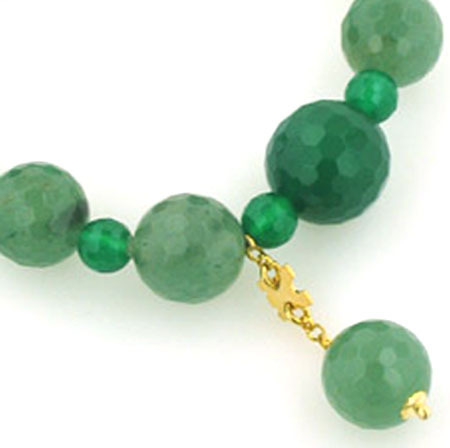 If you love greens, this agate bracelet will never be off your wrist! 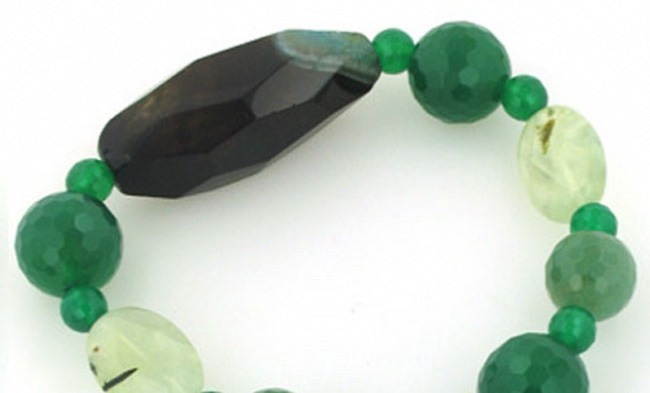 This gemstone bracelet is elasticated and will fit any size wrist. 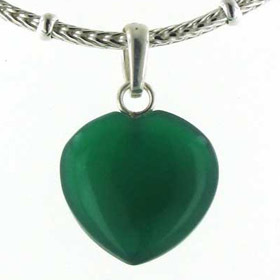 Made in Italy by Rajola and gift wrapped in a beautiful pouch and box ready to present as a gift or a treat to yourself.